While many laud digital technologies for their capabilities, speed, and ease of use, little attention is paid to the effects they have on the body. 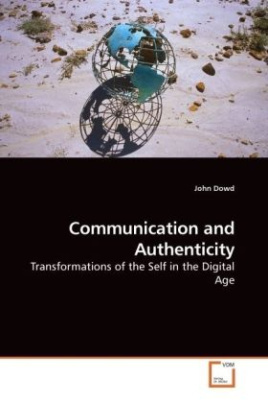 Thus, through an examination of disembodied forms of communication and technological discourse, this book explores the concepts of authenticity and its implications for communication research. I argue that authenticity provides an ethical component that is sorely lacking within many social scientific approaches to the study of human communication and the body, which strive for objectivity. As authenticity, subjectivity, and embodiment are inescapably connected, and as all three provide the foundation for this book, chapter one provides a working definition of each. Chapter two demonstrates the therapeutic functions of technological discourse, which emerge in the form of various means of escape. Chapter three illustrates the disciplining function of technological discourse, which can encourage more debased and narrower forms of authenticity. Finally, the merits of authenticity based criticism are offered, and it is argued that this form of criticism avoids the pitfalls of both modern and postmodern notions of subjectivity.